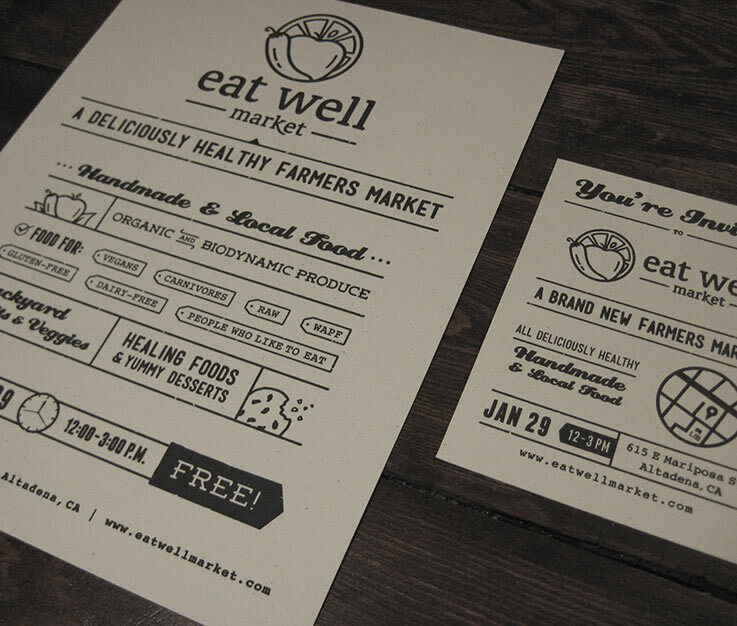 Eat Well Market is "a deliciously healthy farmer's market" based in L.A. They were after an identity that had an underground, yet fun/approachable feel to it. To convey this in the logo, we went with lowercase type and rounded edges in both the typeface and the icon. The poster followed suit, with its range of fun fonts, and the use of playful icons. 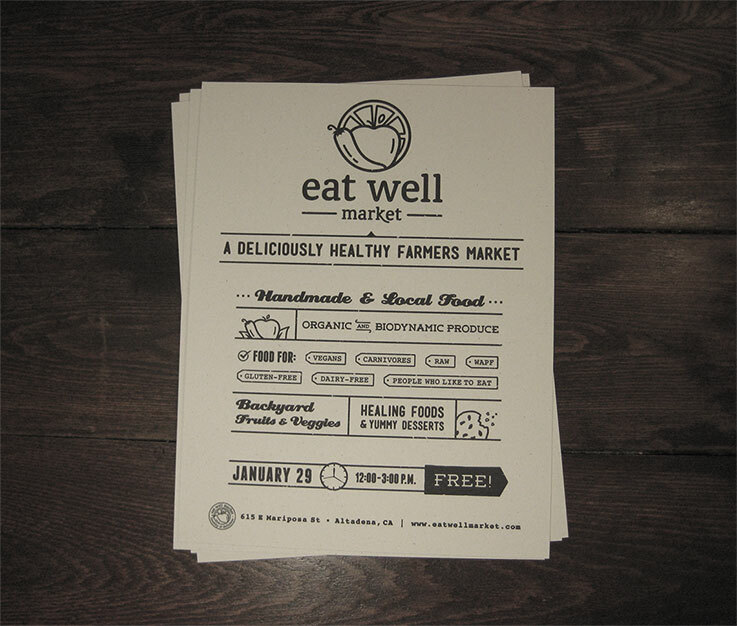 The turn out for the first ever Eat Well Market, was over triple the expected number. The fliers and postcards were distributed through local coffee shops and business to increase awareness in a guerrilla marketing effort. Aside from the attention-grabbing typography on the flyers, the farmers market website serves as hub to recruit both volunteers and local farms. 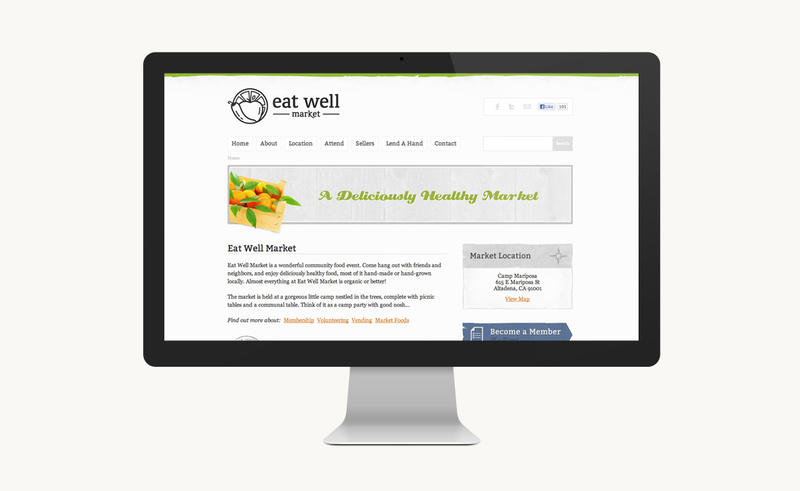 Developed the Eat Well Market Brand from the ground up. Built a website that catered towards their market of the sometimes less computer-savvy users.